Remember that time I went to Italy and did nothing but eat amazing food? Yeah, I still miss that. I’m getting through this difficult time of mourning by cooking a little pasta here and there. This week I also tried my hand at zucchine scapece. I can’t say that I’ve perfected the dish I first had at Flavio Al Velavevodetto, but my attempt was so tasty that I sliced up another zucchini and made more. Pour a thin layer of extra-virgin olive oil into the bottom of a heavy frying pan. Warm over medium to medium-high heat. (Olive oil burns at a higher temperature than, say, vegetable oil, so be careful not to let it get too hot.) 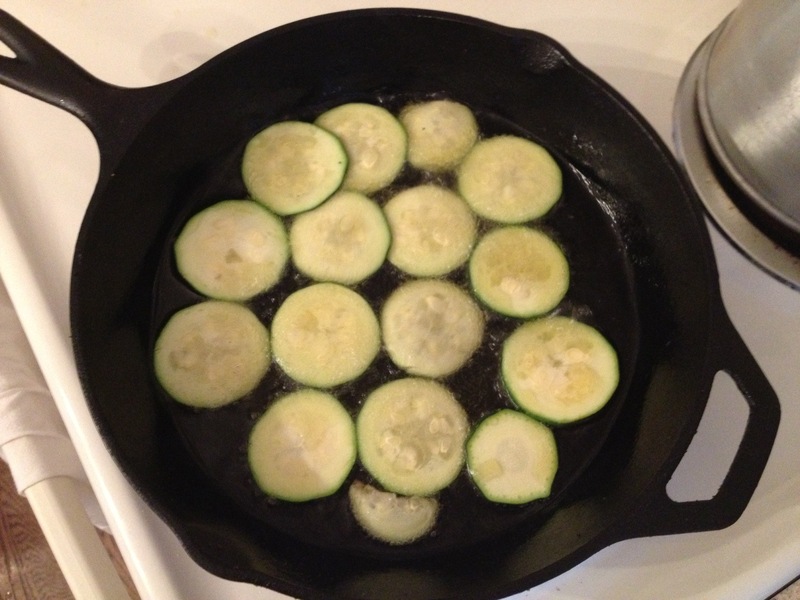 Gently place the zucchini in hot oil and fry until golden. 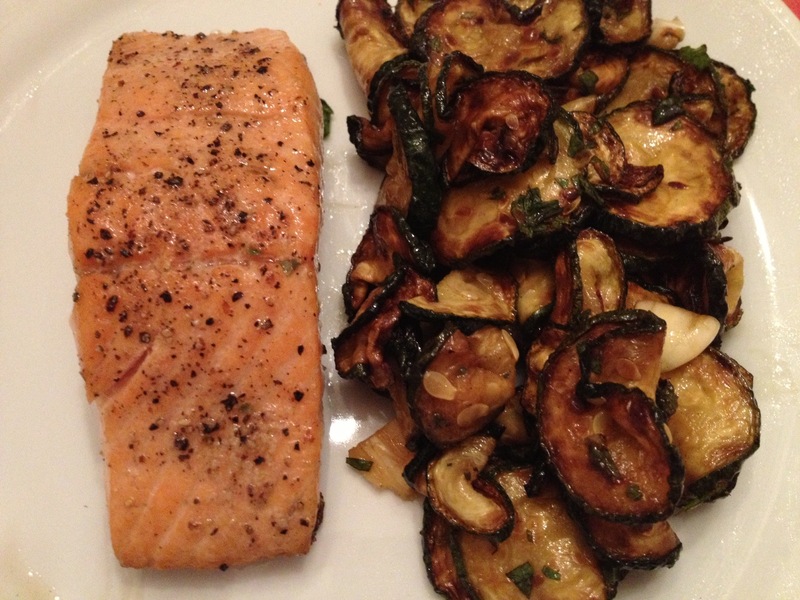 Drain zucchini on a paper towel-lined plate and let cool. Meanwhile place the mint leaves and garlic into a bowl. 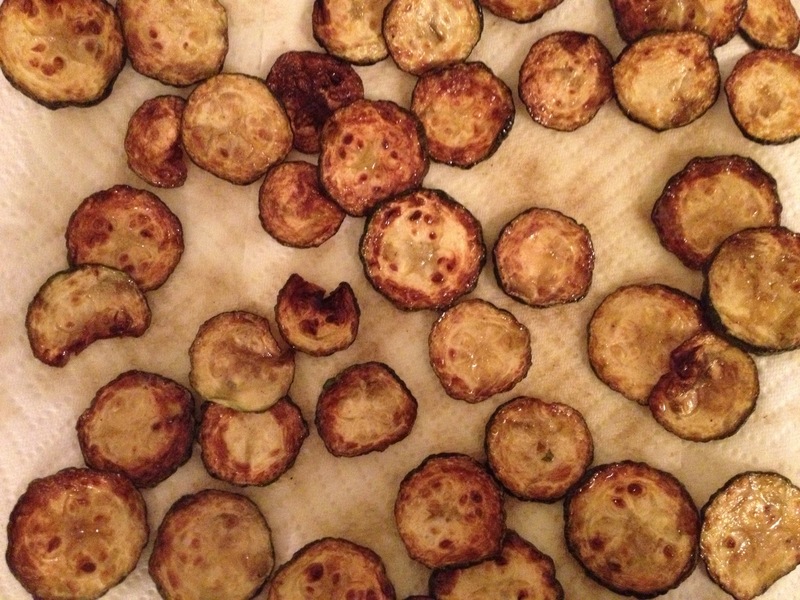 Add the fried zucchini and season with fresh extra-virgin olive oil, white wine vinegar, and salt. Toss to coat. If you can resist, allow to sit for about 15 minutes to let the flavors mingle. Taste for seasoning and remove garlic before serving. 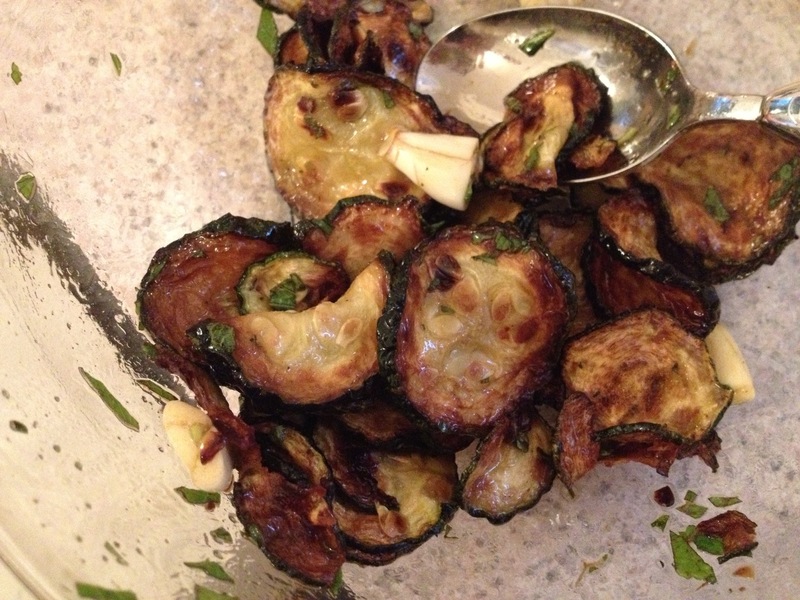 Categories: Culinary Travels, Recipes | Tags: italy, zucchine scapece, zucchini | Permalink. Ooooooo. I love fried zucchini especially seasoned just right.